Once again NPR has produced something marvelous that offers great temptation to book lovers. 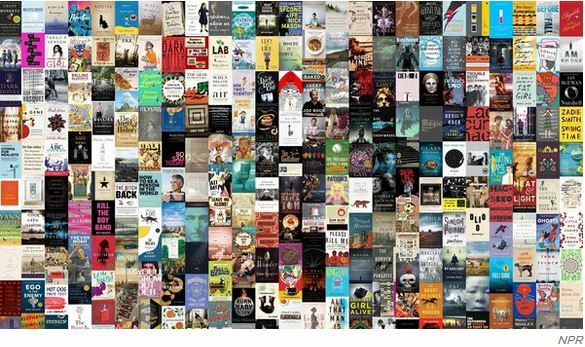 The 2016 NPR Book Concierge is up and running on the NPR Books web site. For the past few years the good folks at NPR Books have taken the books reviewed on NPR during the course of the year and applied filters to them. They list the filters on the left-hand side of the page while images of the book covers take up the rest of the page. You can mix and match filters to your heart’s content. So you could select, for example, Staff Picks + Book Club Ideas. Or you could select: Biography and Memoir + Seriously Great Writing + Rather Short. Or maybe: For History Lovers + Identity and Culture. It’s a lot of fun and it could well keep you in books throughout 2017. One note. In previous years the book concierge did not work well on mobile devices. This year, however, it works beautifully on my iPad Air 2 using Safari. There is one difference in the tablet version that I rather like. When I tap on the book using my iPad I see the complete summary. In my desktop Firefox browser when I hover my mouse over a book I only see the beginning of the summary and I need to click to see the whole thing. Of course if you have a different tablet or browser your mileage may vary. Whatever device you use, if you got an Amazon gift card for Christmas you can blow through it pretty quickly here.